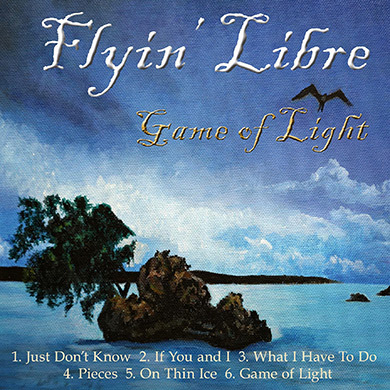 Flyin’Libre was born to “fly free” in the atmosphere of music. In the midst of pain and loss Ana found her hidden songwriting talent. She earned her words over years of experiences she witnessed, and kept in her diary. Her talent for writing was lying dormant and undiscovered until she met John. 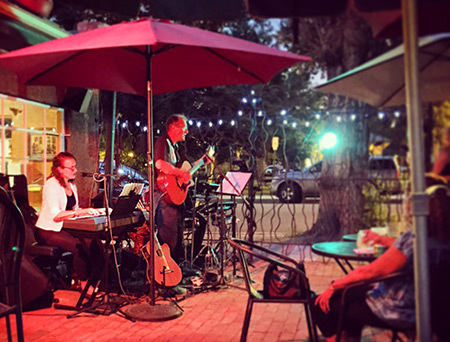 He had been pursuing the dream of independent original songwriting for many years, but after his first moment experiencing her melody lines and words, he felt an immediate need to explore her rich poetic senses. 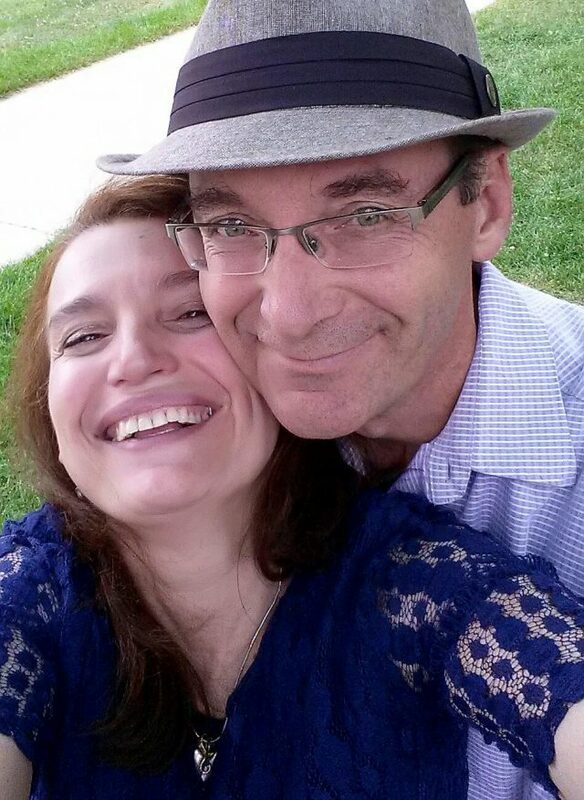 John and Ana wrote and performed in duo settings and in bands until Flyin’Libre was naturally born. On this CD John displays his guitar, layering each song with unique textures, purely from his heart. Ana plays keys and organ creating a tapestry of arpeggios to accompany the verse lines she has created. Oil on canvas by lsi. With a grateful heart; our love and appreciation for his art.